To complete our year round care we offer 24 hour snow and ice management. We have the equipment and the manpower to be able to handle any storm no matter what the size. We offer custom lawn maintenance programs designed around you and your budget. Burke Environmental is a licensed irrigation contractor. All new installations are custom designed to provide matched precipitation to all targeted areas. We also do outdoor landscape lighting designs, installations, and maintenance. Outdoor Entertainment Spaces in a fast growing field of landscaping. Outdoor Entertainment spaces are extensions of your home allowing you to entertain guests or just get away from everyday distraction. We are certified installers of retaining walls and concrete pavers. 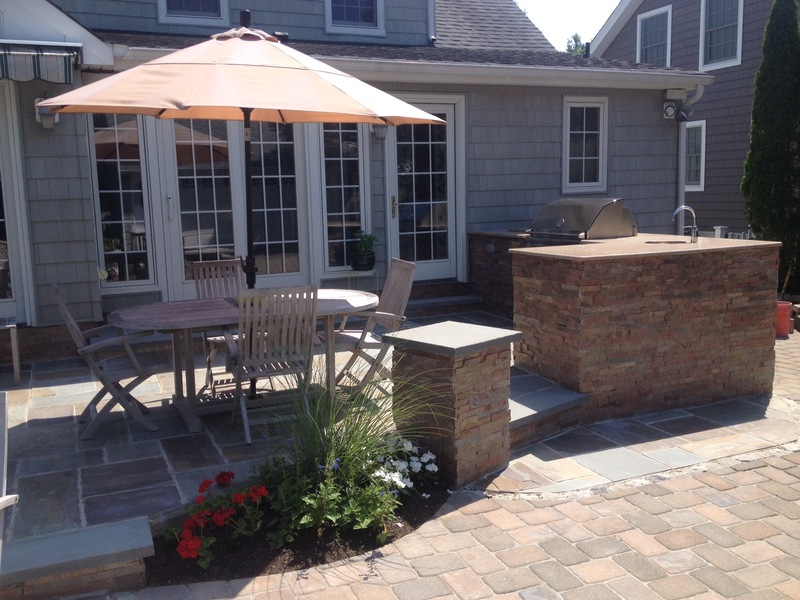 We are also authorized contractors for Unilock, Techo-bloc, and Belgard. We also do custom masonry including, concrete, brick, and slate. We offer complete tree care ranging from simple pruning to large scale tree removals. With our specialized equipment we can do large tree transplanting as well as stump removal and lot clearing. We are experienced in a wide variety of landscaping services. Our specialty is the design, installation, and maintenance of seashore landscapes. We offer a variety of maintenance plans that are custom tailored to your needs, budget and property. Open by appointment only. Contact the office, 732-223-8100 for availability. BEI is well versed in handling many different types of water management issues. A testament to this is that Alex Burke teaches the water management and drainage course for Rutgers University. We are an experienced shoreline management and large scale installation company. 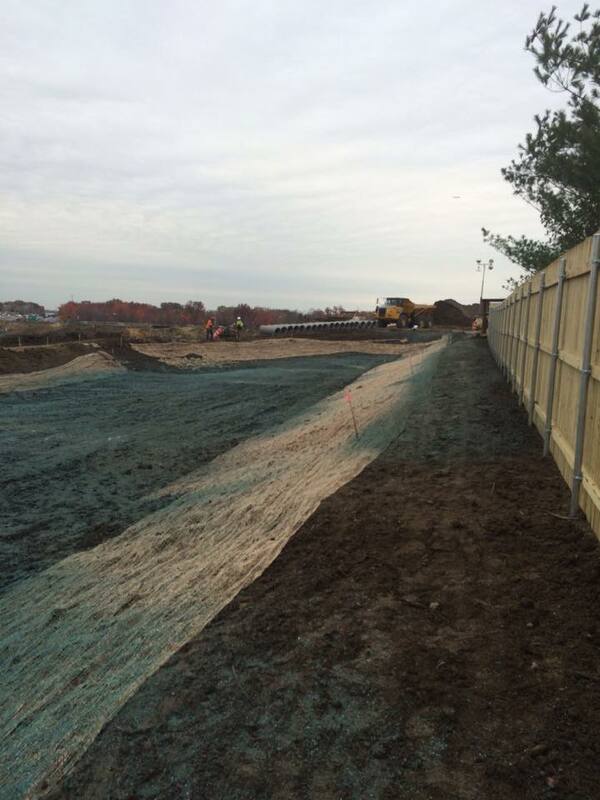 We have performed wetlands and dune construction projects both private and public throughout NJ and NY as well as work for local municipalities, NJDOT, public utilities, and US Army Corps of Engineers. Burke Environmental Inc. was featured on an episode of This Old House, for work on Super Storm Sandy landscape rehabilitation. Burke Environmental's own Alex Burke and teamed up with Rodger to talk about which plants and trees survived the onslaught of salt and sand, which didn't, and how to work toward landscape sustainability on a barrier island. Click on Scene 5 once the video loads. Burke Environmental offers free estimates for any level of service. From planting a small flower bed to designing and installing an entire landscape, we would be happy to set up a personal meeting to discuss your options and answer any questions. BEI removed an old deck and a portion of the driveway to install a custom outdoor kitchen, dinning area, natural gas fire pit with seating wall, and lower patio that doubles as a turn around for cars backing out of the garage. 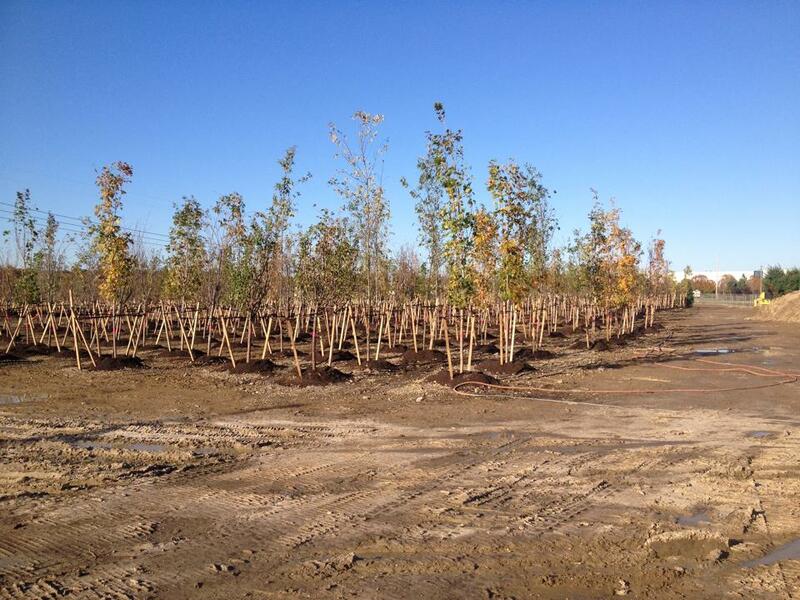 Burke Environmental installed over 9,000 trees for the NJ Turnpike Authority from exit 7A to 8A. We also planted two bio-basins and hydroseeded 15 different locations. BEI is working for Conti Enterprises doing landscaping, hydroseeding, grading, and erosion controls for the I-295, I-76, Rt 42 Direct Connection project.